Like it or not, we have reached the last month of summer. The length of our sunny days is waning. 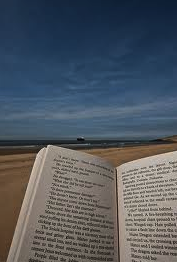 August is a summer reading month, especially for students, many of whom postpone their scholarly reading obligations until they absolutely can’t wait any longer. Summer can also provide good quiet reading time for those of us no longer in school. We might crack open a new paperback novel on the beach, or enjoying a magazine during a long summer flight to a business conference. Working with the law, we know that constant reading and learning is mandatory for all of us, regardless of age. Here at Fastcase, our staff of summer interns – now preparing for the fall semester in colleges and law school, and our professional staff, must read constantly in the course of the job. That reading might consist of reviewing case law in order to perfect online formatting, or it might consist of scouring the web for articles on legal technology breakthroughs. In the course of our reading, we learn our country’s laws, read historical cases whose significance has grown over time, thrill ourselves reviewing Hollywood-script-worthy criminal cases, or simply expand our vocabulary. Our senior reference attorney, in the course of fine-tuning online formatting, came across the Linbergh baby kidnapper appeal of 1935, State. v. Hauptmann., 180 A. 809 (N.J., 1935). A standout example of frenzied media coverage affecting the judicial process, the Lindbergh kidnapping story reads like a prime-time crime drama. http://en.wikipedia.org/wiki/Lindbergh_kidnapping. Beyond these trivial enjoyments that summer reading can provide, reading with Fastcase can provide a truly significant education. Summer projects prepare our interns and workers to re-enter the more active fall season with an increased knowledge of our nation’s law. The law isn’t always as entertaining as the paperback you read on the beach, but it can be fascinating none-the-less, and valuably informative. And whereas the cheap fiction we buy from the grocery store shelf is copyrighted and requires purchase, fascinating stories documented by our nation’s courts are designated to be freely published for all. Of course, these enthralling stories can be prohibitively time-consuming to find, even though they are free. We at Fastcase hope that our online search service makes it a little bit faster and more affordable for you to find those rare memorable cases, as well as all the other routine stories, dutifully recorded by the courts, which help you in your daily work.